Another one of the Keysborough Bowls Social Club slices. This would be a be a good one for the kids to do – although you might need to buy extra peppermint crisps for the cooks to sample during cooking. 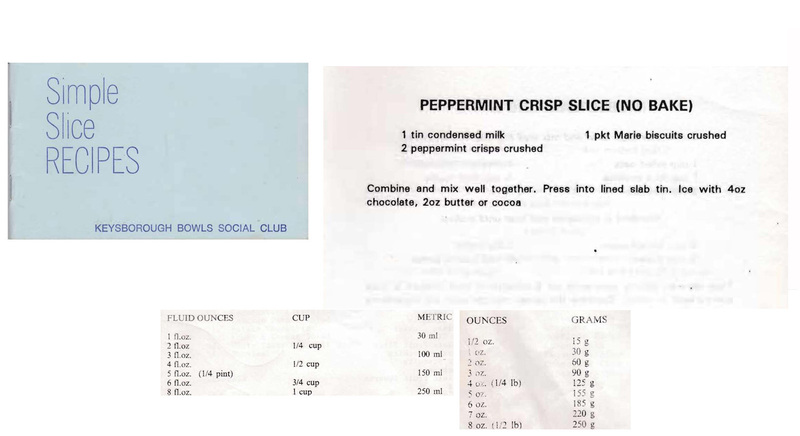 This entry was posted in All Recipes, Biscuits & Slices and tagged 1970s, condensed milk, marie biscuits, no bake, peppermint crisp slice, peppermint crisps by bebsrecipes. Bookmark the permalink.